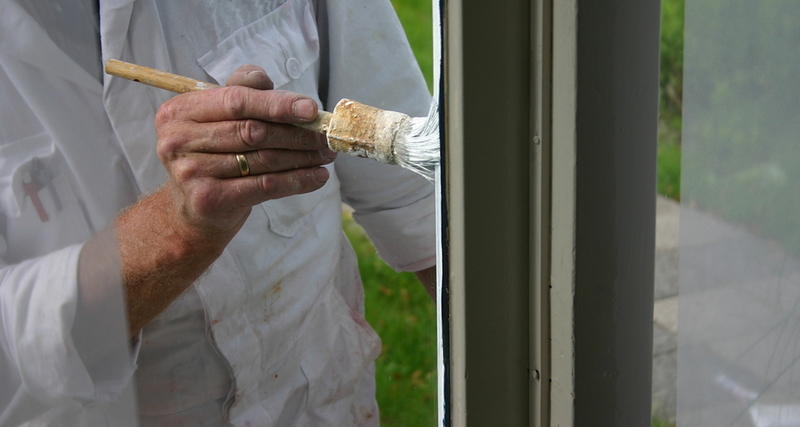 Michiana Paint isn’t just paint; we are a specialized home decorating store. We strive to bring out the best in your home. From paint to drywall to accent pieces, we can do it all. We will walk you through every step to make sure you’re happy. Drywall is the base for any paint in your house and you don’t want wavy or bumpy walls because it will all show through in the final finish coat. We come in and inspect everything before we give you a price. Sometimes the problem is a small hole in the drywall, sometimes it can be a much bigger job but again we don’t touch the job until you say so. Window sashes and finishing is something can make or break a home. You don’t want stained or cracked windows to ruin the look of your living room or bed room, we can fix the window pane and sash. A new window makes all the difference in your home. ​Not everyone has tons of money to throw at their home, but everyone likes the look of marble or exotic woods. Thankfully we can replicate any finish you want by using faux finishes, meaning ‘fake’ finishes. These can be as simple as making a wall look like it was made out of wood, with all the grains and textures that comes with it. Marble finishes are beautiful but expensive and messy but a faux marble finish is easy and affordable. So you move into your new home and it’s got everything you want, large bedrooms, a beautiful deck but the wallpaper is old and crumbling. So what to do? Call us at Michiana Paint! We can remove any old wallpaper and clean the walls to make way for new wallpaper. While we are there we can make sure the walls themselves are clean and don’t need repair which can save you heartache if you put up new wallpaper and see all the imperfections. The deck on your house gets a lot of abuse. In the summer the kids and animals run all over it, in the winter it gets snowed on and iced up. Not to mention the suns UV rays and wind damage can really wreak havoc on your deck. So you need to make sure deck is ready for the abuse. We can come power wash the deck and check for any cracks or loose boards, then if needed we can sand the deck down and apply another finish to it. So not only are you protecting it, you can make it look even better too! We make it ready for decades more use. Natural wood is beautiful but a good stain or finish can make it really jump. There are hundreds of different colors and finishes that you can use to really make difference in your home. It will be like adding all new wood to your room. We can walk you through the entire process and make sure it looks like you want it too.